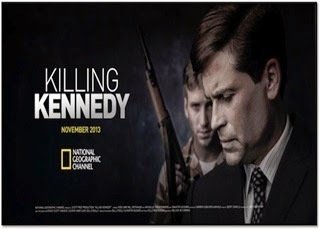 Based on the best-selling book by Bill O'Reilly and Martin Dugard, Killing Kennedy begins in 1959, at major turning points for both the future president and his assassin. John F. Kennedy is in Washington, D.C., preparing to announce his presidential candidacy, while Lee Harvey Oswald finds himself in the U.S. embassy in Moscow, renouncing his U.S. citizenship. These two events start both men-one a member of one of the United States' most wealthy and powerful families, the other a disillusioned former Marine and Marxist-on a cataclysmic track that would alter the course of history. Throughout the film, we see their highs and lows, culminating in not one but two shocking deaths that stunned the nation.